There are many aspects to be considered during the development of the mobile app. Development of the idea itself, its improvement and determination of certain aspects are the main phases of the creation of the mobile project. Since interaction and features have paramount meaning during the process of design elaboration, there is an issue concerning the importance of app mockups and prototypes development. Construction of a perfect prototype is the best approach to a quality product that can be created without unnecessary additional expenses. Let's note that a prototype is the version of your app that makes it possible to test all the main potential features and see how its design will look in the future. This idea is very close to the minimum viable product, that is you will see what design your future app should have. The difference is that a prototype doesn't function as a real app. Prototypes just allow for an opportunity to get a general impression due to the capability to click, move from screen to screen and see the design. 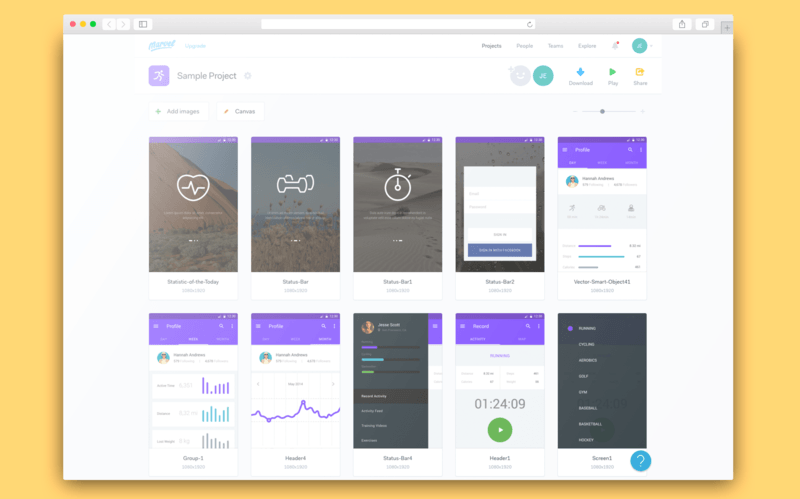 UX prototyping tools are used to help in this.It is worth noting that it is almost impossible to find an app that was released without any modifications and amendments on the first try. Also, during the process of a product development, customers often want to add some new features or make changes that increase the scope of work, the amount of code and costs. getting feedback and app updating. This scheme has some disadvantages. For example, users receive the app too late since you worked hard and spent a lot of money. And you can realize that your project is already not in demand among your audience. That is why you need a UI prototyping first to get feedback from users as soon as possible and get a clear vision of the app before you are out of funds. Prototyping can help you determine the conception of the future product, showing its capabilities. Designers can build a mockup for a visual interface, and developers will have the understanding of how each feature should function. Since it is a full-fledged working model of a final product, an app prototype will help avoid mistakes and eliminate them in the very beginning. And it will make that the user experience is much more convenient. Besides that, you will save on costs spent on the development. Now let's check out what strong sides prototypes have. App development can be a very expensive process. So if you plan your future project, you will be able to avoid a bad result. You won't need to start everything from the beginning, and it will protect your reputation. Unfortunately, users usually don't use the app again if they faced some bug or defect. So, if you build app prototype, you will not regret it. Feedback can be even one of the most important parts of the software development process. Developers can understand their users, they can define what they need to modify or change. Users' reviews can give unique and fresh ideas to understand the demands of users, and it makes them feel like participants of the development process. Business branding makes it recognizable and memorable. So you can design your brand in advance in your prototype. Why do you need it? When interacting with your users, your app could have already become recognizable, and it will allow you to draw many more users after your app release. The main reason apps fail is that developers understand too late that they passed over something critical in the development stage. And it also gives an opportunity to test different platforms. If it works on the website, it doesn't mean that it will work on a smartphone or tablet. It is important to create app prototype for different devices to make sure it will function properly everywhere. And, of course, you should make your app available for a few platforms, because it will increase your audience by default. If you want to know what tools you can use for prototyping of the mobile app, we suggest you learn them a bit better. 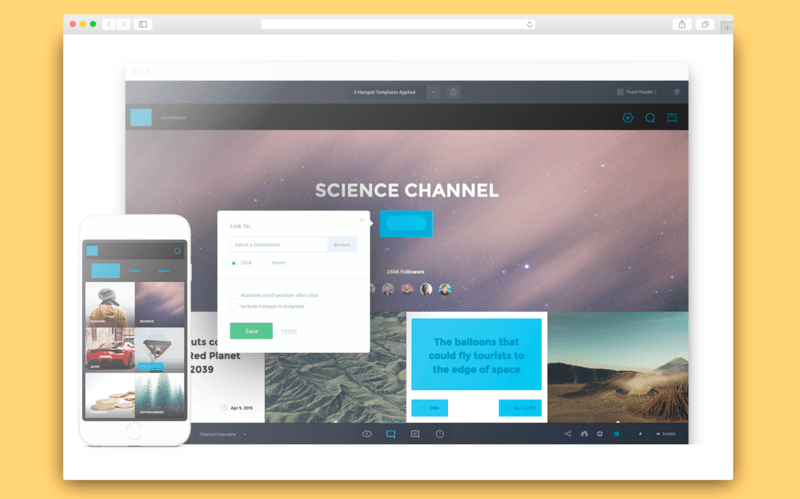 InVision is the tool for building prototypes on the Internet that allows designers to create interactive mockups for web projects and mobile projects. Although you cannot create projects directly in InVision, you can upload your static pages to this tool, and then use special features to transform pages into interactive mockups. Besides that, InVision can sync to your document in Photoshop or Sketch, and it allows you to update the prototype in a real-time mode within the selected design software. 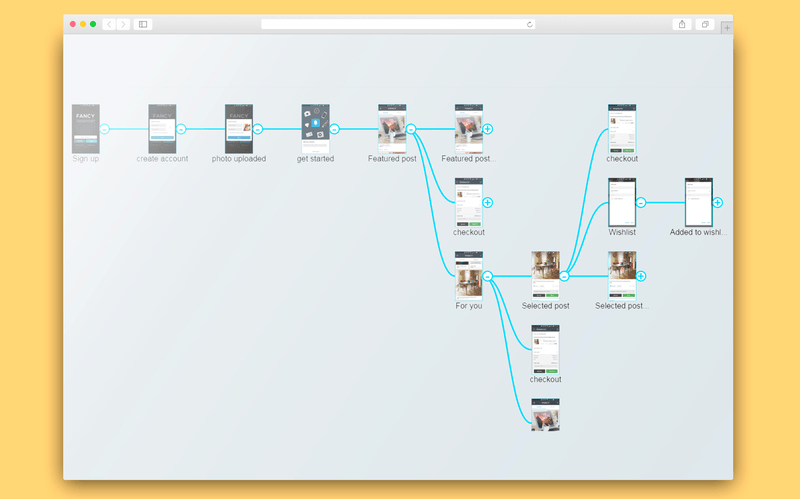 It's one of the best app prototyping tools that allow you to create prototypes right in the platform. You need to choose design components that you want to include and create in the editing field. After, you can choose mobile gestures, web interactions and conversions from a large library of Justinmind for already existing widgets. There is a freemium model of Justinmind that offers you the combined use of the tool in the browser, but if you want to get access to all your team you will have to buy a premium account. After the update, a few users can simultaneously interact with the same prototype. You can distinguish different corrections very quickly since the color of comments for each team is different. A perfect tool for creating a prototype in the browser, and it contains the capability to simplify the prototyping process. After registration, you immerse in the interface and you can start working without hesitation. You can create a prototype, uploading images and adding gestures. The platform supports direct loading of specific types of images including PSD, GIF, and JPG as well as uploading via other services like Google Drive or Dropbox. Certainly, this is not a full list of tools that you can use for prototyping, however, we just showed you the most popular tools on the market. See the difference between mockups, wireframes, and prototypes. 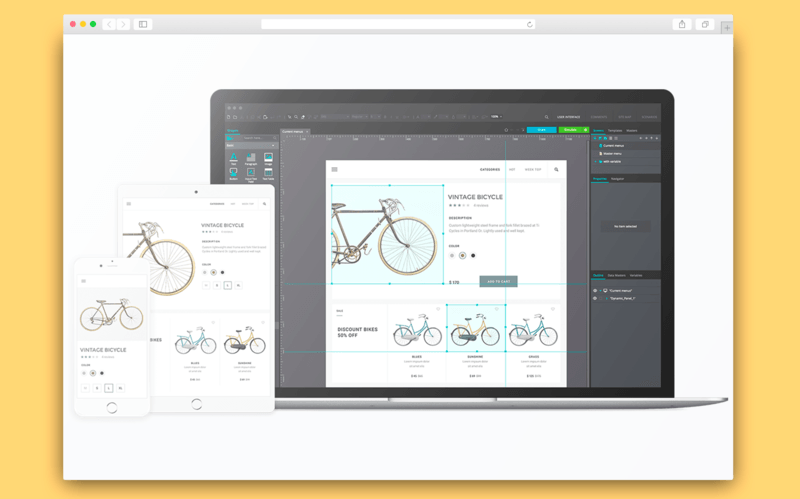 Read How wireframes, mockups and prototypes serve for perfect design? Now, when you understood what prototypes are and how can we create them, there are a few key moments that we would like to accentuate on the basis of our own experience. And it doesn't matter what alternative you chose for your app. Let's see key moments in the prototyping of the app. It is very important to explain all actions that shall be implemented in each section of the app design when you create a mockup. We should specify, for example, what areas we will be able to interact with - what this button does, video, GPS service, image etc. When you start determining the app development project, you had better start from the app menu, how it will look. Then focus on the informational structure of the app to arrange the whole content that you want to include in this app. That is, what features the menu will contain, and what features it won't. First, you need to determine the main features you will need to prototype - it is crucial. Thus, you will avoid unnecessary changes that subsequently can become a reason of delay for one or several project stages. The app should be user-friendly. It is one of the crucial points you must consider from the beginning of the development of the project If your app isn't user-friendly, it will never be successful. Determine your colors. Do it also in the beginning. It will simplify the implementation of mockups. Or just find a specific range of colors for your app design. This range of colors should always match the company's brand if it already exists. The same concerns logo creation. Mistakes are a part of any process and it is absolutely natural. It's quite another matter when you don't try to avoid them and fix them. So we would like to mention common mistakes that occur very often and that they interrupt the development of the apps or just slow down the process. Too much attention. One of the most common mistakes is to pay too much attention to the app design during the first prototyping steps. All small details can be finished at the end when all the rest is already completed. It is always useful to see the app design fully, but the app should be flexible to any changes. Especially when it concerns third-party developers when the customer doesn't know exactly what type of development he needs. Active front-end. One more mistake lies in active fronts - there can be too many of them. So try to avoid it. We always should make a mock up like an offer for the customer even if it will be changed later. We should never think that a customer is very skilled in a technical field. You should always explain how the app works. You will create a good prototype or mockup if you see that your customer is the strictest tester of his or her app. 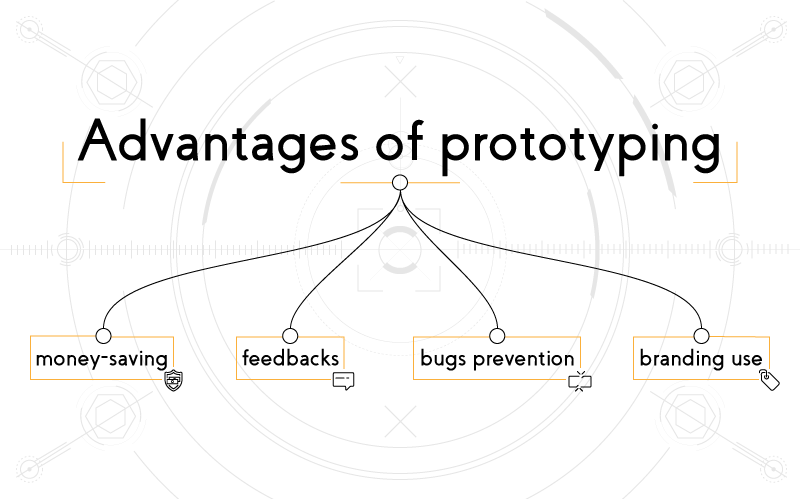 So, creating a prototype, you protect yourself and your project from failure. Summing up, we should say that every successful app has its own strategy behind it. You can put aside your habitual plan during the development of the app and try to create an interactive prototype of your app. Then you should get feedback from users before you start coding and initiate testing process. In this case, you will get a really estimable product quicker, and avoid additional costs for the development and bug fixes. Thus, the importance of prototype is crucial. Learn more about UI and UX design. Read Debunking stereotypes about the identity of UI and UX design. But if you still have any questions - you are welcome to contact us! And subscribe to our blog to follow all the hot news. What is the difference between wireframes, mockups, and prototypes?